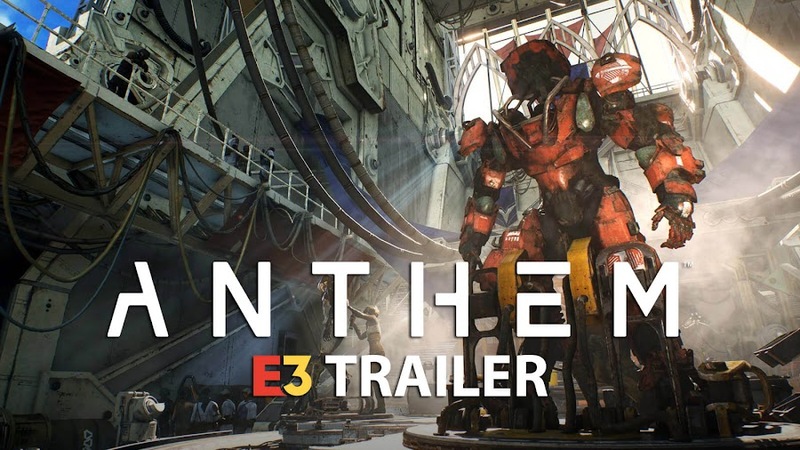 Online multiplayer action role-playing game Anthem from BioWare and Electronic Arts is now available on PC, PS4 and Xbox One. 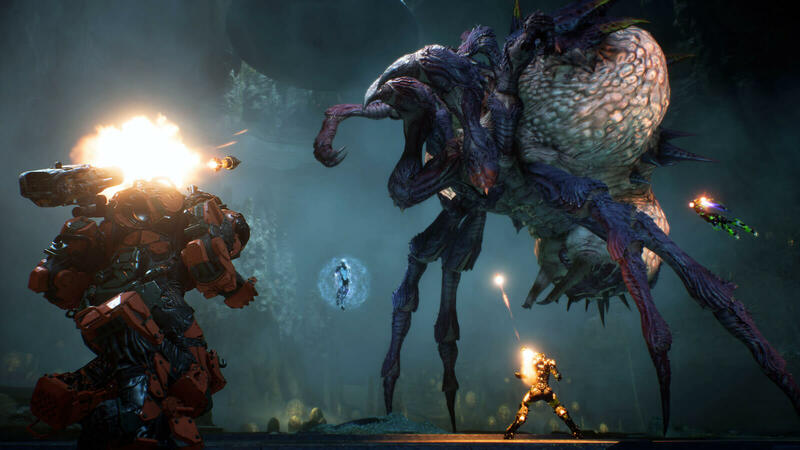 It's time to suit up and hop into your Javelins as long-anticipated online multiplayer action role-playing game Anthem from developer BioWare and publisher Electronic Arts has just released for PC, PlayStation 4 and Xbox One. The game takes you to a sci-fi fantasy inspired world filled with technological artifacts where humanity struggled for survival before they were approached by a godlike race of The Shapers, who eventually left them behind for unknown reasons. Players assume the role of a Freelancer in a beautifully dangerous and unknown open world wearing their advanced exosuits for taking out adventurous jobs every now and then or even fighting terrible creatures out there when confronted. Depending on your gameplay style there are four different Javelin types; Colossus, Interceptor, Ranger and Storm. You will unlock your own as you play and level up, which are all available for cosmetic customization according to your mood or style. As Freelancers, these Javelin-piloting mercenaries completely rely upon these advanced armors for both combat and transportation. Whether you are flying up, up and away or going deep down the murky corners of the planet, you need them. Aside from picking up the right machine of war, don't forget about gear and weapons loadout when you visit Fort Tarsis or Launch Bay. Whether you adjust attack combos or minimize cool-down time, those gears level ranges from Common to Legendary. Powered by the Anthem of Creation, this enigmatic world holds many secrets and surprises enveloped in mythos. The addictive experience of adventure it offers through co-operative multiplayer mode is probably the heart of the title. Before you start your Freelancer career and fly out there, be sure to check out the official launch trailer for the game. The game surely turned heads with so many incredible features and created the right amount of hype but got into the skepticism of many with their disastrous demo launch, overly complex release schedule and overpriced cosmetic loot boxes in general. Overall, Anthem could live up to be its own title with true potential given some time and even have a great fan-following like Destiny franchise. BioWare currently has plans of releasing post-launch content and updates to support the game for long. 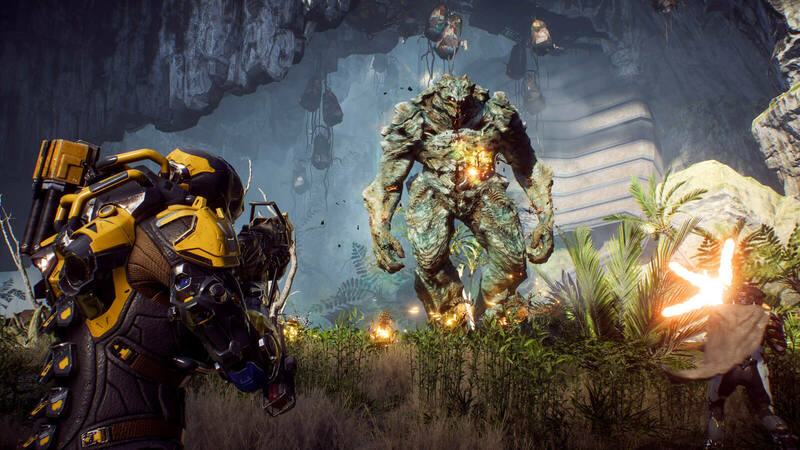 Suit up into your Javelins for free to embark on expeditions as Anthem Open Demo is live now and will be for the weekend. 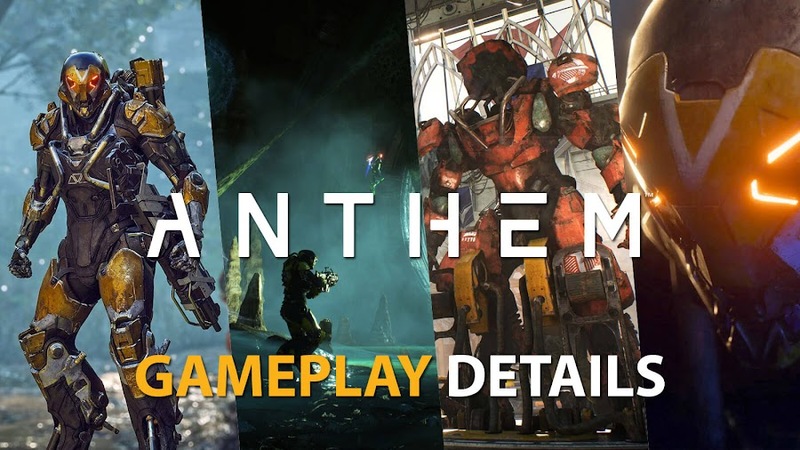 Have you been looking forward to check out gameplay of upcoming online multiplayer action role-playing game Anthem before release? Worry not, because developer BioWare and publisher Electronic Arts has got you covered on this one. Only few weeks ahead of release for PC, PlayStation 4 and Xbox One on February 22, the Open Demo experience offers players to jump into a javelin for a test drive from February 1-3 to have an idea of beauty and chaos that will surround them. Today, the demo goes live at 9 AM PT on February 1 and will continue till 6 PM PT of February 3. Hop in as one of the Freelancers and enjoy your ride into the third-person shooter RPG that is supposed to overthrow the success of Destiny series. You will start your journey from Fort Tarsis, the walled city that is basically a central part of the game. It's a space protected from dangerous forces of outside world, where players can come to visit the Forge and customize their javelin with items they picked during missions. 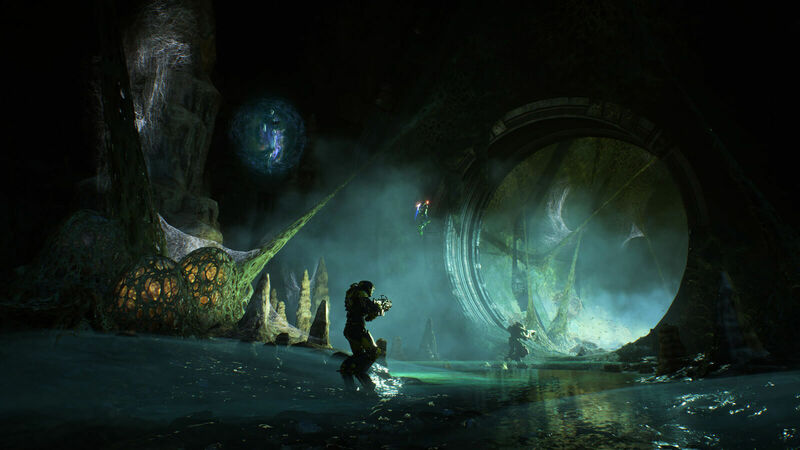 Aside from running around in your suits within Fort Tarsis, you can also visit additional included locations like the Arcanist Lab, Bar and Enclave to interact with other characters of Anthem. Many of them are around to chat with you but their in-game contracts are not available yet. You are starting as a pilot at level 10, who is more than ready to take off for action with a fully prepared javelin. A second javelin can be unlocked in Open Demo by the time you reach level 12 and it is currently capped at level 15. 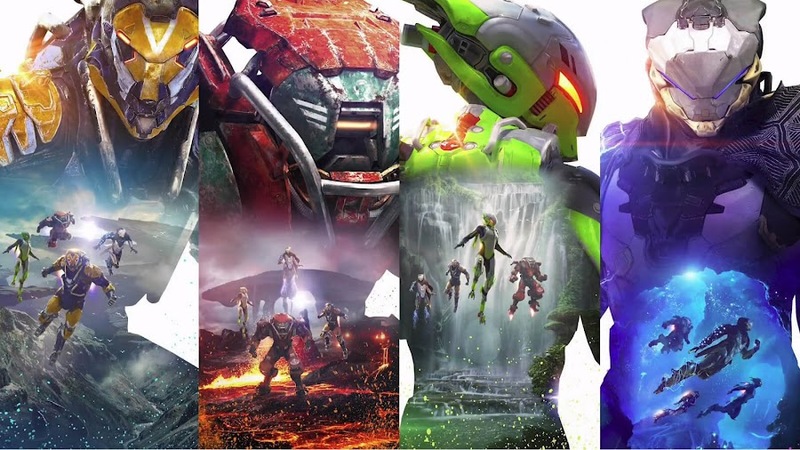 The game has introduced four different Javelin types earlier; Colossus, Interceptor, Ranger and Storm so far. Colossus might be a bit sloth but is well-equipped to carry heavy armory and near-unstoppable for its toughest armor shield. The lightning-fast speed of Interceptor good to evade enemy attacks while Storm has potential it its force field and elemental attacks. Even though Ranger is considered as a support Javelin, it has the explosive firepower assortment of grenade, lasers and rocket. Of course, you can come across dangerous wildlife during your exploration of the world around you and do not take these threats lightly just because you are wearing an exosuit. With a full squad of Freelancers, you get to complete Strongholds, high-level dungeons the demo offers to you. Going out in the world, you might actually discover new secrets of the game while completing missions. One of them is a three-part expedition to find a relic with mysterious powers, tasked by an order of researcher-monks known as Arcanist Matthias. Given that the Open Demo is live for a relatively short period, BioWare adjusted earn rates for Coins, Items and XP to give players a possible full Anthem experience. Initially, you will have some Coins to purchase some cosmetics to equip yourself. Even if you have missed out of VIP demo, which was reserved only for those who pre-ordered the game or subscribed for either of EA Access and Origin Access, this is your final free chance to take part before launch over this weekend. So, download the client on your preferred platform before signing into your EA or Origin account as you pack your Javelins to fly or swim as you progress through every challenge thrown out at you to get a better understanding of the gameplay and story that makes it great. 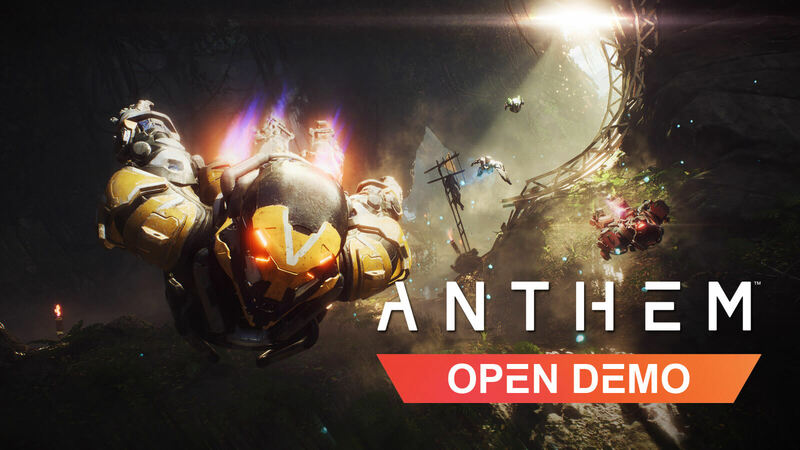 This Open Demo is a great chance to enter the world of Anthem and have a full experience even if it lasts briefly. Don't miss out the chance to explore and enjoy the ride before BioWare and EA releases the full game on February 22! New Year looks promising for gaming fans and we are here with our top 10 most anticipated video games of 2019 that are going to blow everyone away. Along with numerous bumps in the road, 2018 went somewhat well in terms of video games released throughout the year mostly because of wonderful games like God of War (2018), Marvel's Spider-Man, Monster Hunter: World and Red Dead Redemption 2. We had few unfortunate stinkers like Fallout 76 and Metal Gear Survive but despite all that, 2019 is looking very promising with all the new and remake titles headed to launch on Nintendo Switch, PC, PlayStation 4 and Xbox One all year long. Here are the top 10 most anticipated and long-awaited list of games players are waiting for in 2019 to launch on their favorite platforms. Of course this one will be at the top. Fans have been waiting like crazy for this anticipated remake of the ageless survivor horror classic for the last few years and even though this is a reiteration of the original Resident Evil 2, people are still excited as hell! 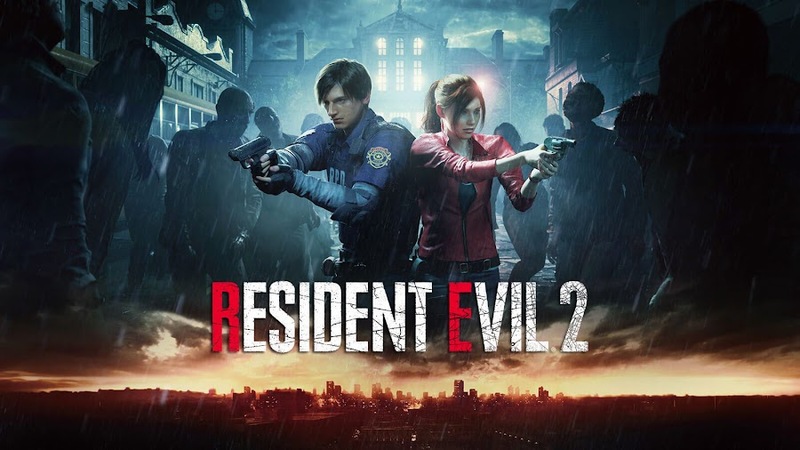 Rookie cop Leon S. Kennedy and college student Claire Redfield finds them amidst a zombie apocalypse in Raccoon City and tries to fight their way out. Developer/publisher Capcom went back to the root of horror with RE2Make using their revolutionary RE Engine. Although developer BioWare was not very successful in satisfying the fans with their last game Mass Effect: Andromeda, players are still willing to give them a chance with this one and admit it or not, it might actually course correct its way where Destiny 2 has failed. This online multiplayer shooter avoids the typical norms of an open world environment and regardless of what some may think, it could really become a blockbuster hit. An Open Beta is currently scheduled for early February that you should take part in to see what they are offering. 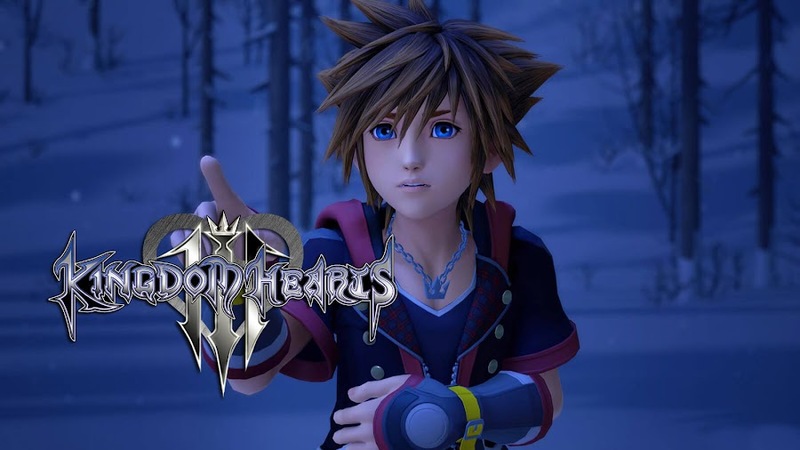 Even though it basically is the twelfth installment from Kingdom Hearts series, it is the latest main entry coming on consoles from developer/publisher Square Enix, fourteen years after the release of Kingdom Hearts II as a worthy successor. Series protagonist Sora is returning with his friends Donald Duck, Goofy, King Mickey and Riku to prevent the second Keyblade War. Popular Disney and Pixar characters will crossover during the journey alongside some familiar faces from Final Fantasy franchise. Okay, if Microsoft Studios delays the game for some reason this year again, we are officially not interested in it anymore. Because, the title was all set to launch in 2016 which is then got pushed to next year and the next after it settled for February 2019. Despite all the skepticism it has given us, we still believe that the game can be one of the most successful title of the year 2019 if it can manage to live up to the promises it made to fans. The sort of in-game destructive mechanism it is offering is essential for an addictive multiplayer mode. 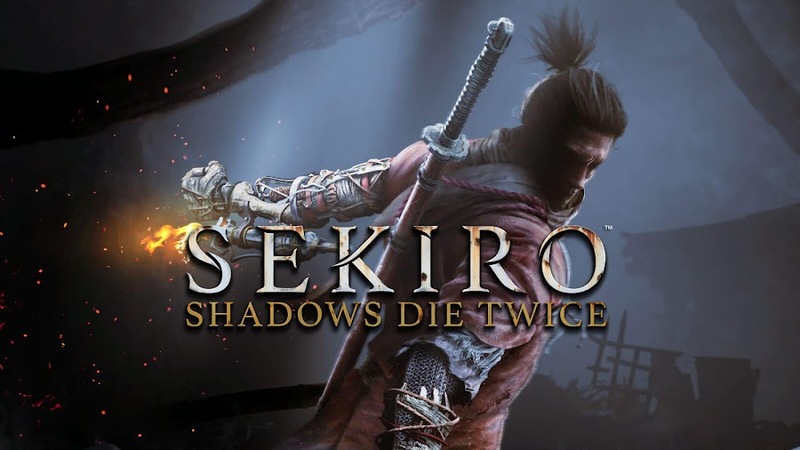 In past, developer From Software has worked on games like Bloodborne and Dark Souls, which should give you an idea of the quality for their upcoming action-adventure title Sekiro and if you have seen any in-game footage so far, you know that we are not exaggerating. However, the studio has no intention of making it anything like their past games at all. The game follows the chronicles of a fallen shinobi with a prosthetic arm who took it upon himself to go after a samurai for attacking him and kidnapping his lord. 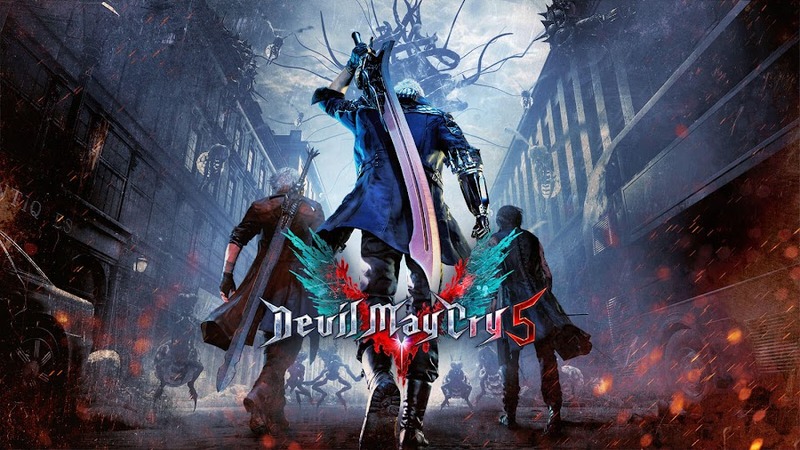 After a long departure following the commercial failure of DmC: Devil May Cry in 2013, developer/publisher Capcom brings back the action-adventure hack and slash game series with Devil May Cry 5 that is currently aiming at March 2019 release. Both Dante and Nero are returning as playable characters in DMC5, which is set after the second game of the franchise. 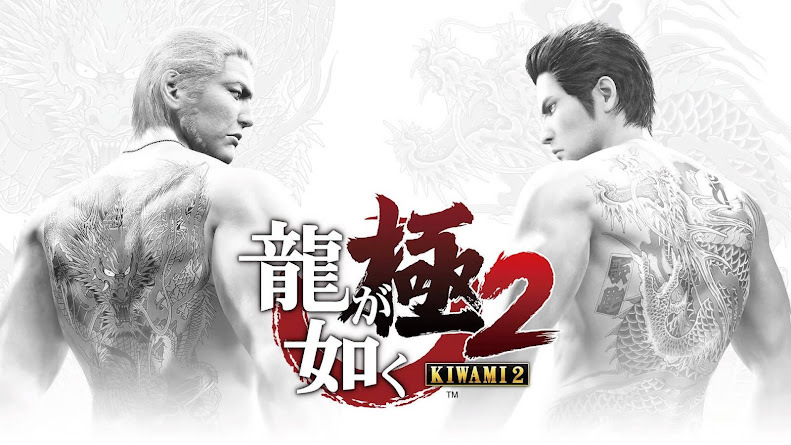 Aside from the signature combat system and photo-realistic graphics style, the game introduces The Void mode for extensive training. 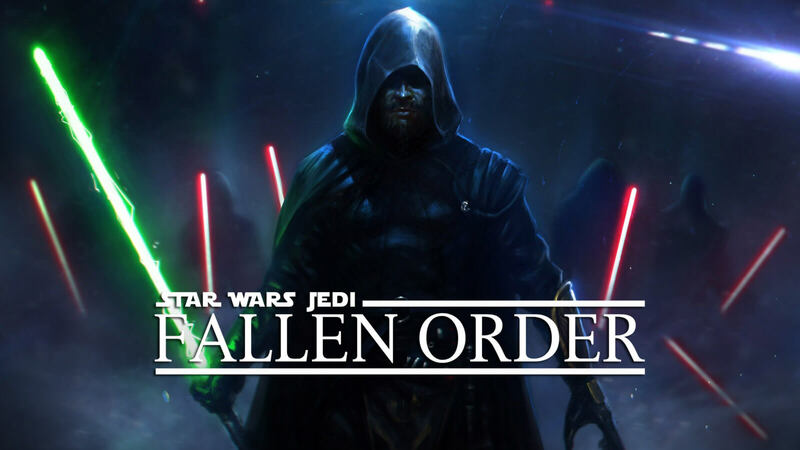 After the debacle of Star Wars Battlefront II, fans are not trusting Electronic Arts or EA DICE with the franchise anymore but with Respawn Entertainment on the development wheel, we have some hope that Star Wars Jedi: Fallen Order will actually be good. The game follows the narrative of a Padawan survived the Jedi purge after the events of Star Wars Episode III – Revenge of the Sith. The title is going to focus on an action-adventure gameplay from third-person perspective and we may get an exclusive reveal before E3 2019 as well. 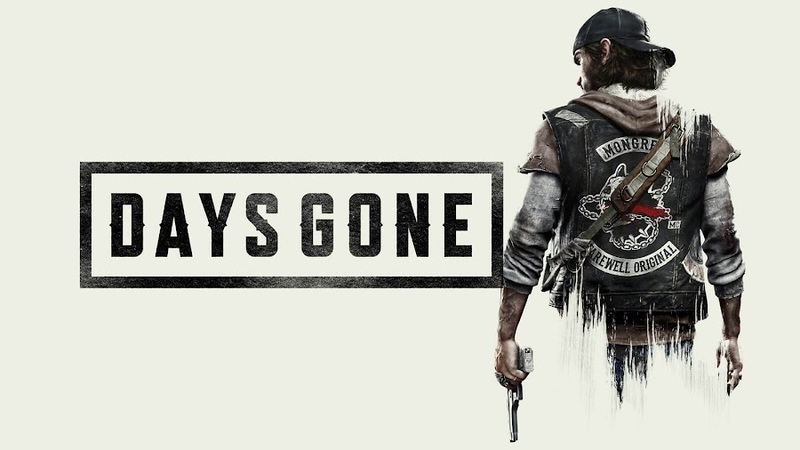 Zombie apocalypse is quite a cliché in the world of video game now that except for a few established franchises, not everyone is making it exciting anymore but developer Bend Studio showed enough promise with their upcoming PlayStation 4-exclusive Days Gone that we were hooked. The game took a different approach with the horde and making them fast runners like the ones from 28 Days Later but calling them "Freakers". Players will enter this journey of survival horror by assuming the role of bounty hunter Deacon St. John. Although the original game died down after a time by losing players for not having engaging endgame content and due to lack of updates, developer Massive Entertainment assures that they will not repeat the mistake with the anticipated sequel that is offering Year One DLC for free. The series arguably has one of the best core gameplay that can outshine many other AAA titles but coming up with a satisfying endgame experience is also crucial to its success. A better progressing system can keep the upcoming online action RPG alive in the long-run. 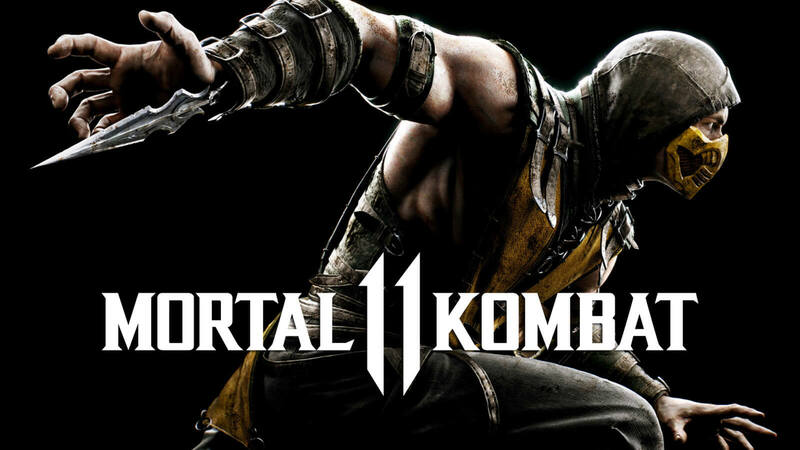 For long, game director Ed Boon has been teasing the fans of Mortal Kombat series on the next release but each time they backed out of revealing it. Finally, developer NetherRealm Studios dropped an announcement trailer of MK11 during The Game Awards 2018. The long-awaited game is going to release more details this month in a "Community Reveal" and will return in its gory glory within next four months with a possibility of introducing the Multiverse. The iconic brawler looks better and badass than ever. To our deepest regrets, some of the top-notch game everyone has been looking for has not made it to the list because they do not have a definitive year of release officially announced yet, namely Cyberpunk 2077, Death Stranding and The Last of Us Part II. Depending on your taste and viewpoint, you may have a completely different list in mind and we believe that is perfectly normal, because so many titles have been keeping the fans hyped up for 2019 and it is too damn hard to pass most of them from including into the list. 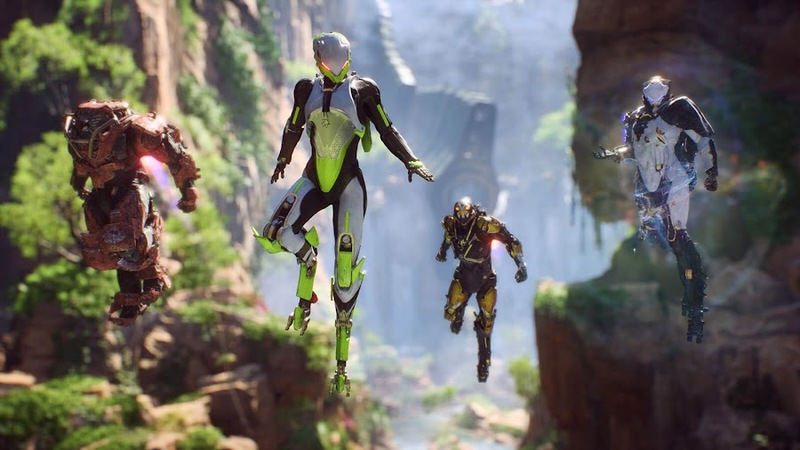 Though BioWare's Anthem is an intriguing project, it has no plans for cross-platform play or post-launch DLC content just yet! With game-playing experience for players evolving every passing hour, cross-play is already the next big-thing for gaming industry and while everyone else is embracing this trend, Sony decides to be the grumpy uncle in all of this. Microsoft Studios and Nintendo have lately teamed up for sandbox video game Minecraft in a commercial, which made Sony look even bad. Looks like developer BioWare is also planning to lag behind with their upcoming action role-playing game Anthem. 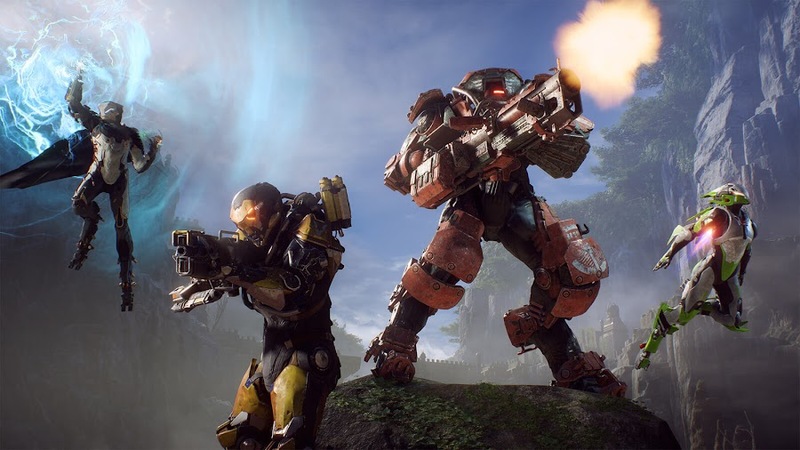 Being an online multiplayer game, Anthem sure has the potential to be enjoyed over cross-platform play. 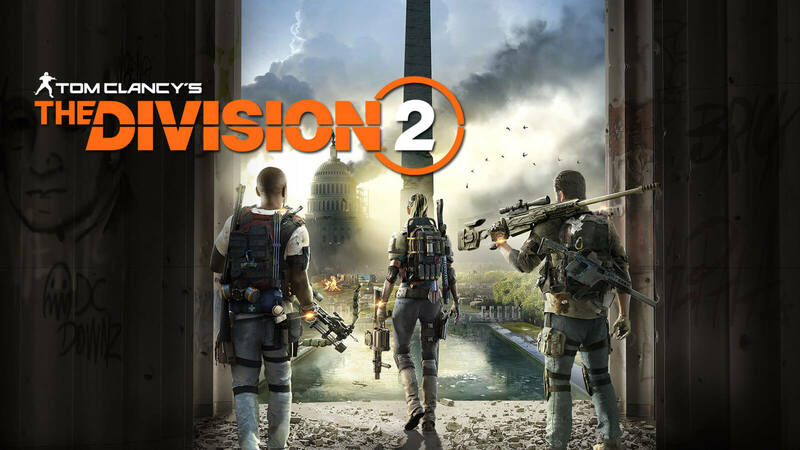 What we saw by far at E3 2018 press conference, huge scope for exploring the story and rich gameplay will only be increased if players are allowed to play together over PC and consoles concurrently. 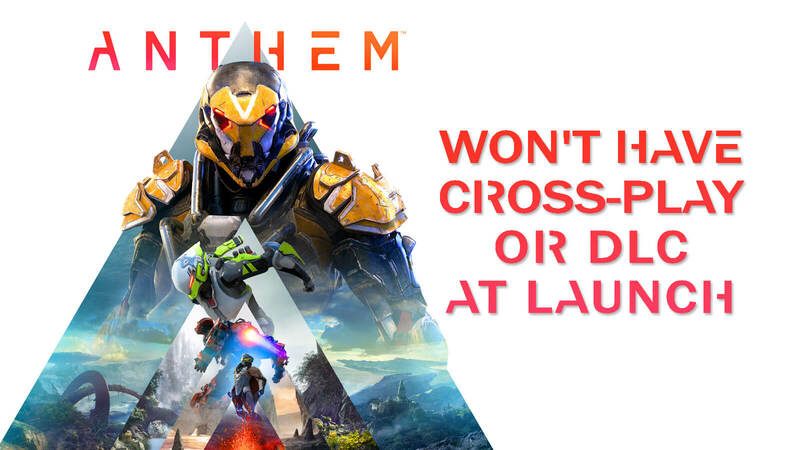 However, despite everyone hoping for the game to be a milestone example of how much fun cross-play can be, BioWare is apparently opting out of that idea for now if not permanently. Executive producer Mark Darrah of the developer studio has been answering a lot of questions from fans on Twitter and one such topic was about cross-play. When asked, he simply stated that currently they have no plans for that during the release but that doesn't mean they would never do that in any point. So, we can probably keep our hope alive just on the basis of that comment. Belonging to PC, who has many friends over consoles have to sit this one down for now and the time being. Playing in squads are always fun and the way BioWare has build a vast world for their action RPG could become a huge hit if they would've embraced the movement but this push-back might not be appreciated by the players. Then in another Tweet, someone asked for their plans regarding any post-launch DLC content and that particular response wasn't very cheering either. It appears that the developers are treating the project on "games-as-service" model but that can change as well. If they could only considered this idea of playing over all platforms together, it could become a huge selling point for the game for sure. 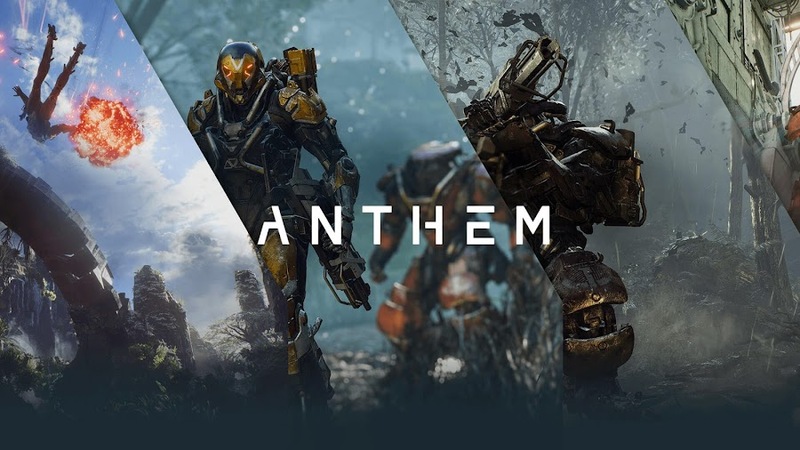 BioWare's online multiplayer game Anthem is currently marked for a February 22, 2019 release on PC, PlayStation 4 and Xbox One. No matter how anticipating the game is, the news of it being devoid of cross-play or any post-launch DLC sounds like a nightmare that would diminish the fun in overall. 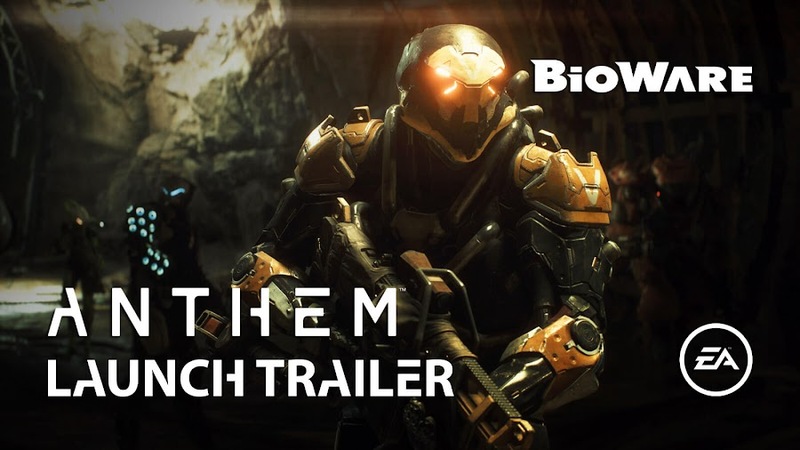 After long period of waiting, Bioware and Electronic Arts finally released more than a trailer and offered details on gameplay of Anthem. Long after the first unveiling of the game, developer Bioware and publisher Electronic Arts finally released an official trailer for their open-world action role-playing game Anthem. The game is a main talking topic at E3 2018 press conference as it is coming from the same developers who previously worked on games like Mass Effect and Dragon Age. To satisfy many eagerly waiting fans, some gameplay details and plot elements of the title were revealed as well. 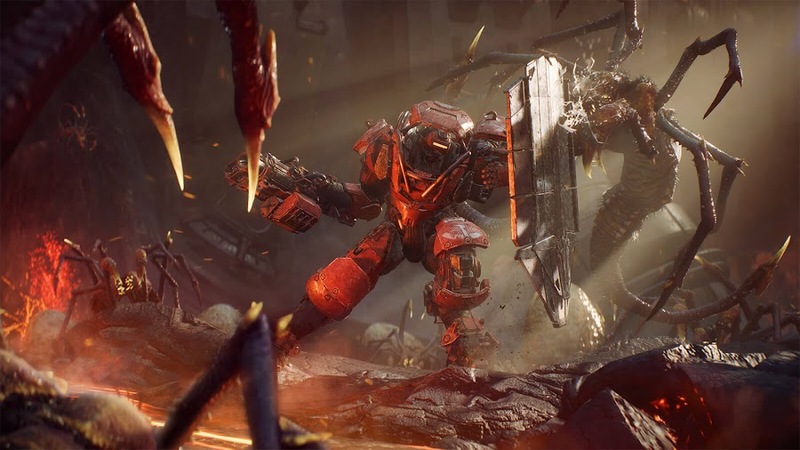 Below is a clip that elaborates on the combat gameplay features you are going to experience in Anthem game. The exciting gameplay footage offers the closer look players have been waiting for all along, following the new cinematic trailer. We already know that it sets up in a dystopian future where society has fallen because "God" has left them but humanity has found shelter. Freelancers among humans are trying to save their peers from a rival group called the Dominion. They are after a force known as "Anthem of Creation" to destroy whatever remains of civilization. The game allows you to take part with three of your teammates to go and fight against Dominion. Freelancers wearing Javelin exosuits have four different types; Colossus, Interceptor, Ranger and Storm. Just as their name suggests, Colossus is good with hitting hard, Interceptor is lightning-fast, Ranger is versatile in features and Storm is a destructive force. Despite each of these suits have distinct nature; all of them are loaded with enough firepower to take down major obstacles. You and three of your teammates can pick the one that suits your own style of approaching a mission or just go with the wind. These Javelins are up for some major customization, whether that is gear or guns. As you make sweet progress along the way, every kit and weapon will be unlocked, which means you don't have to buy loot boxes for advancement. There will be micro-transaction but the contents are strictly just some cosmetic items and skins. No pay-to-win mechanism there. As a multiplayer action role-playing game, it will share a world with whole community of players. It could be night time or day, a stormy weather or clear sky, everyone playing online will experience that simultaneously. The world around you will never be the same and always be on constant change. Bioware has plans of providing post-launch content to expand the story further and maybe arranging time-limited events for everyone to join in to have some good time together. 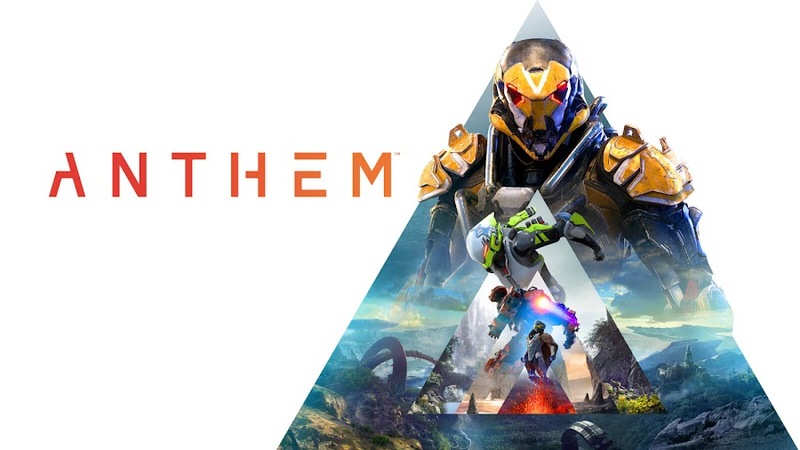 Anthem release date is currently set for February 22, 2019 when it will see release on PC, PlayStation 4 and Xbox One. The game seems to be a fun-ride, which will deliver a unique gameplaying experience mostly when played in teams, because the developers made it to play as group. That way, it is more rewarding for gamers but that doesn't mean you can't ditch a squad and join solo. Although many people are already trying to draw its resemblance with Destiny, it sure is different in many aspects and that will be settled once it comes out. 2017 has been a great year for PC gamers and console gamers as there were tons of great games out in the market the whole year-long that kept the players busy in their seats. While players around the world was hyped with games like Call of Duty: WWII, Destiny 2, Horizon Zero Dawn, Super Mario Odyssey and Legend of Zelda: Breath of the Wild, many far greater titles were also announced and made headlines while left the bedazzled spectators in waiting for them to come out this year. Yes, we are here now to talk about the most anticipated video game titles that people have been waiting for some time to drop in and chances are, you might find out some of your favorites among the list. Capcom is bringing the biggest and the best version of Monster Hunter game with the latest title of the series, Monster Hunter: World. 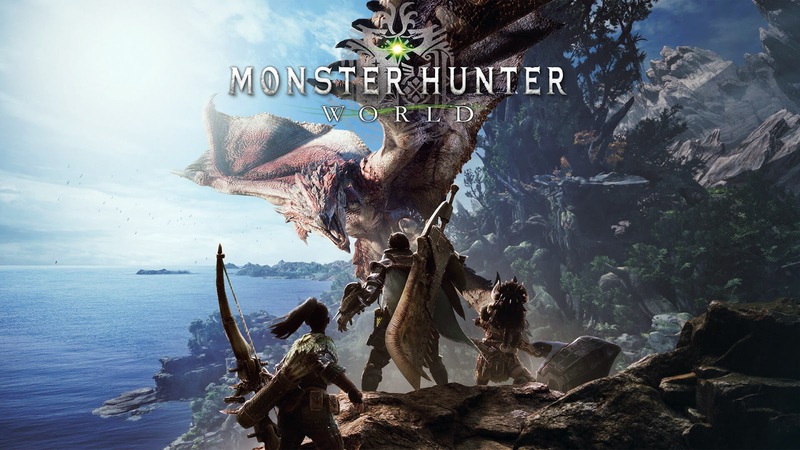 Gaining a massive fan-base from all over the world, the game has gotten players on the edge of their seats for some time and these days, the popularity of the Monster Hunter series is not only limited to Japan anymore. Hunting ferocious monsters while wielding large weapons and crafting tough armor to save your skin has never been this much fun before. 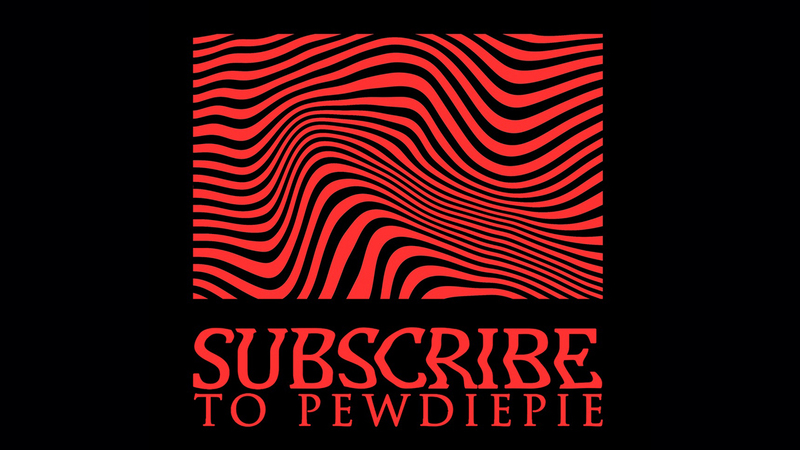 You may not start playing this game as a fan but it will soon turn you into one if you give it some time. Plus, it will give you the multiplayer experience that you've been yearning for years. Ubisoft's latest installment from the Far Cry series comes the newest sequel of the action-adventure first-person shooter; Far Cry 5. Since their last title of the series, Far Cry 4 was more of a close re-incarnation of the third game and they were chastised by the fans for it, Ubisoft has emphasized on bringing enough change to prevent that from happening again. The game has been delayed for several times now because of the recent unstable state in American politics to avoid unwanted issues. This is the first time the game took its open-world to USA and you may expect a little less wildlife around this new location with rural setting. 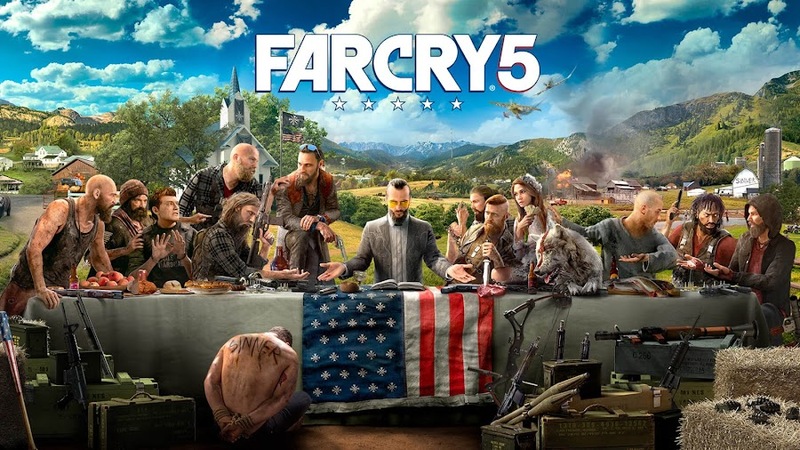 When the game comes out, your job is to deal with the doomsday cult of Hope County known as Eden's Gate, formed by a radical preacher named Joseph Seed. This new approach to the established franchise may just work fine but we have to wait some more to be sure about it completely. Looks like fans of the Western-themed action-adventure cannot just wait for the tie of 2018, when they will get their hands on Red Dead Redemption 2. 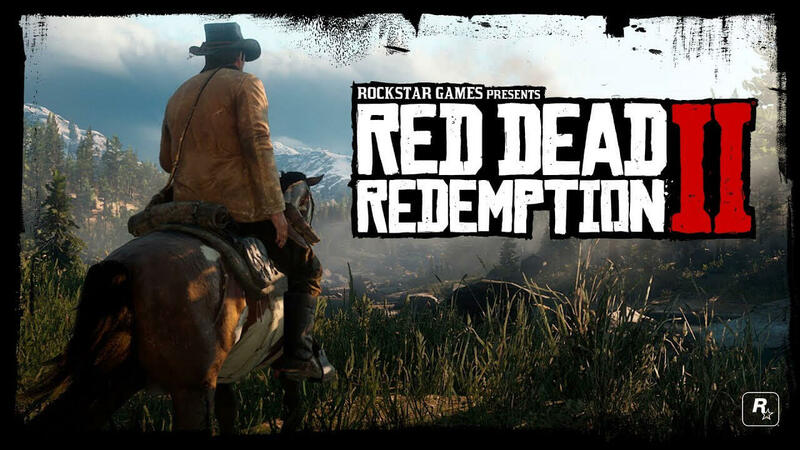 Though very little to no significant details about the game are out yet but players who've played Red Dead Redemption and had a good time are already dying on anticipation for the sequel. As outlaw Arthur Morgan, players will experience an extensive story campaign and possibilities are that there will be online features. For now, the game is only limited to console players only but who knows if developer Rockstar Studios have any future plans to release the game on PC or not! We can only hope and wait for that. The first PlayStation exclusive game that entered the chart is Sony's newest release from the God of War series. Spartan warrior and a vengeful demigod Kratos returns to god-slaying business once again with the title simple called God of War. 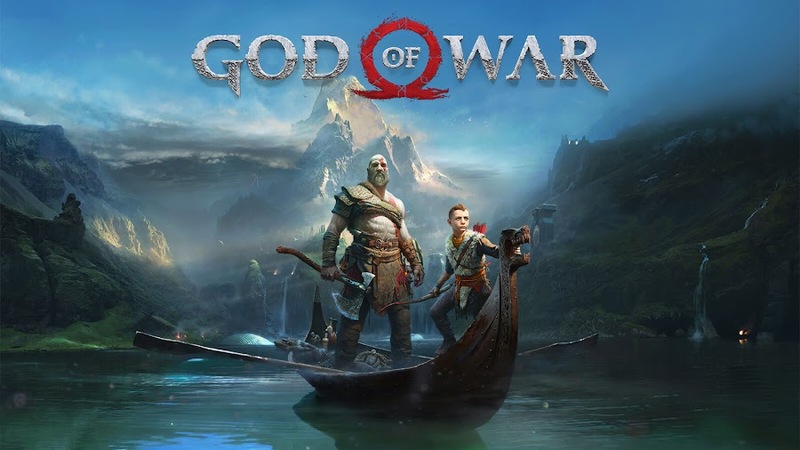 After slaying all the Greek gods, Olympians and Titans in previous installments, Kratos has set his sights on the gods of Norse myth. From the E3 press conference two years back, we haven't been able to gather too much of information about the game. Since this one is a reboot on the original continuation after God of War III, some even regards it as God of War 4 as well. The game has largely revamped its gameplay and made major improvement on that part of simple hack n' slash it was mostly based on. Now that e is a father, his "rage meter" also constantly fluctuates during his quest. Perhaps, this new take on the game far from the original series may eventually bring it back to the glory it deserves. 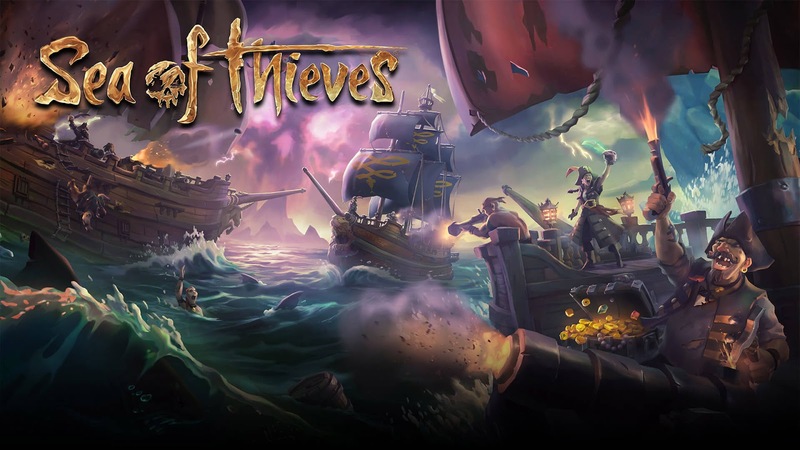 Set on the heart of Caribbean, developer Rare's upcoming pirate-themed action-adventure cooperative multiplayer Sea of Thieves is one of the promising entry on the list even though many believes that it has the same potential of falling onto its face as it has the qualities of rising above all. Many “realistic” elements of the pirate culture are brought on board that players would enjoy with these marine outlaws. If you hang out with the right crews then this loot-hunting multiplayer could be a great fun of your life. Whether you love to hunt for treasures or attack your rival crews, Sea of Thieves will never cease to entertain you. You can also customize your crews and cruise as you see fit before you set off exploring islands and caves. PlayStation 4 owners have to sit this one down for the moment as this one is only limited to PC and Xbox One right now. With Sony releasing so many fan-favorites this year for their home console, Microsoft Studios had to bring something to the table and Crackdown 3 was their pick that actually made it to the top. 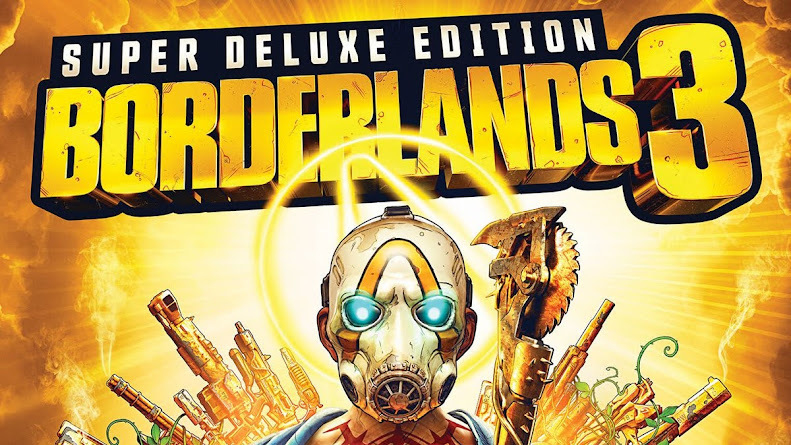 An action-adventure game set in an advanced, futuristic Metropolis, this one is the third chapter of the franchise that is coming after nearly eight years of its predecessor and that was back in 2010. 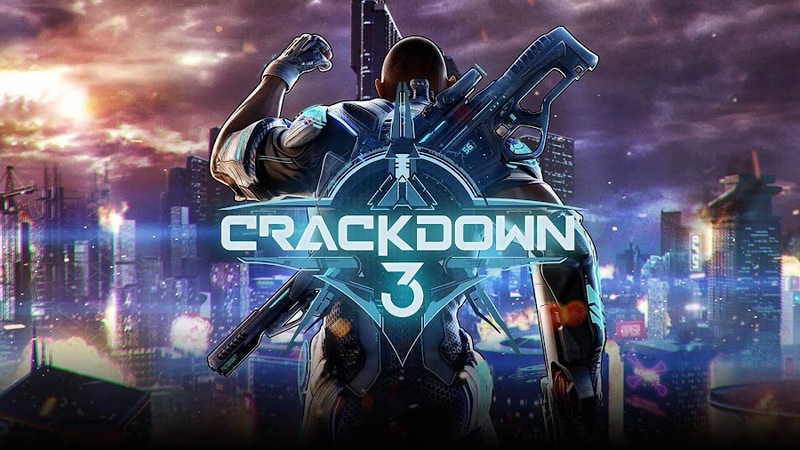 This one is not a game where a back-story actually matters that much or anyone really cares, Crackdown 3 is all about the superhero-like protagonists of that world jumping and crushing stuffs from their surrounding open-world environment. Though the game will also be released on PC, it surely will make use of the features of Xbox One. So, you get onto a spree of destruction with your hands behind the wheel of these hi-tech Agents once the game comes out. The last game that we ever played from Square Enix's Kingdom Hearts series was twelve years ago and in the mean time a handful of spin-off games and re-releases came out based on the original. Luckily, we are not having any of those and a full title is being released as Kingdom Hearts III. Donald, Goofy and Sora will be out in quest for the "guardians of light" to oppose the evil villain Master Xehanort. The latest release will explore other classic worlds of Disney like Big Hero 6, Tangled and Toy Story. The protagonists of the story will have new abilities, improved combat system and five party members are now allowed to join for more epic battles. Unfortunately, the game is only meant for consoles and so PC gamers cannot seemingly take part in the adventure. 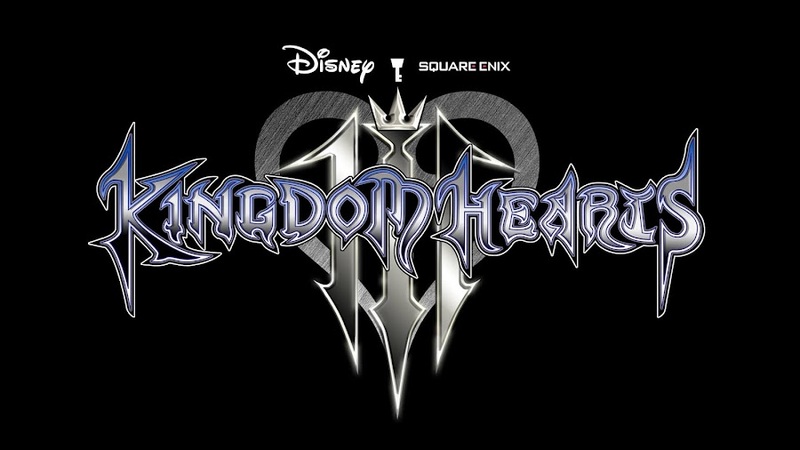 With the release of Kingdom Hearts III, Disney and Square Enix is looking to make a sure score this year. Literally thousands of anime loving fans were blown out of their minds when they first learned of Dragon Ball FighterZ, a fighting game from Arc System Works and Bandai Namco. Usually, the latter company makes Dragon Ball based video game titles and Arc System taking over on such a project was a bit hard for many to digest. However, the end result is a true spectacles because they really get it right for the first time in never before, thus giving Marvel Vs. Capcom series a run for their money. From the design to the fighting nature of the Dragon Ball universe, everything is so much accurate that it's nearly unbelievable. 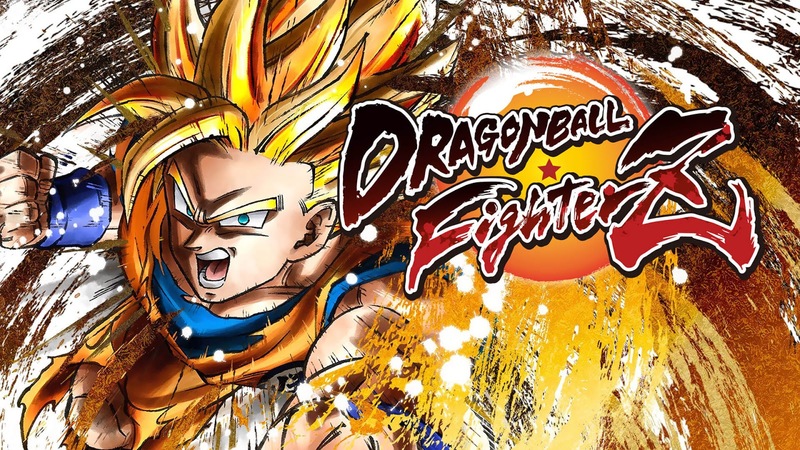 Popular characters of the series like Goku, Vegeta and the rest of the roster are going to be available for you to best your skills in a fight. While the game is 2.5D, everything is actually rendered in 3D and the end result looks exact anime-like. For this amazing feat, Arc System Works truly deserves our praise and we cannot see any reason why the game will not rule on all platforms. This one is almost certainly the only game in our list that actually kept heads down until E3 2017 and no one may have even heard about it ever. Other than the people who worked on the game, A Way Out from Hazelight Studios and Electronic Arts, none other was aware of the development. It is simply an action-adventure game from a third-person perspective, where you play through a split-screen and attempt for a prison break. You will partner-up with another player whom you can randomly pick from online or you can just ask your best friend to play it with you. 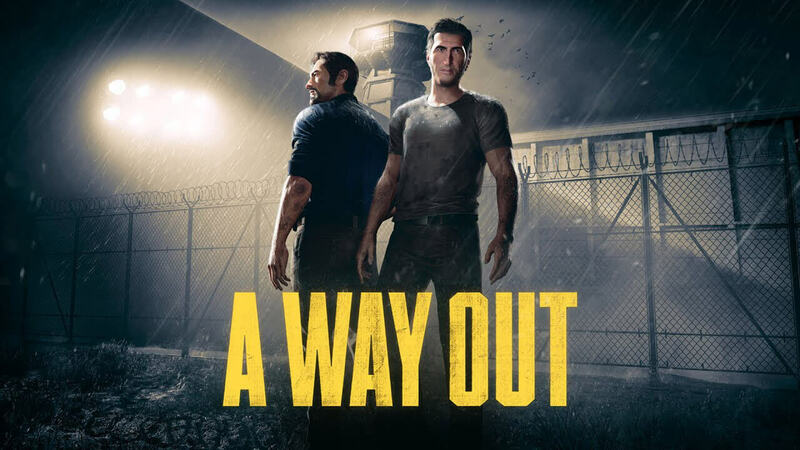 All you will be doing is try to escape from a prison where you two are kept in and the split-screen will give you a re-defined experience of co-op games. Critics are already in favor of this game and many players are already feeling hyped. So, let's see if this one actually makes it big upon debut. For the sake of the Anthem game project, Bioware and EA have literally killed the Mass Effect series and put all the money and effort intended for. Following the unexpected sales drop Mass Effect: Andromeda has suffered, the company decided to invest their resources somewhere else. The creators of Anthem were really pushed to create a better quality open-world for this game, which will not disappoint the players. Whatever little peak the developers have shown us till date makes it look all promising as far as the hero flies wearing those cool Javelin exosuit concerns. 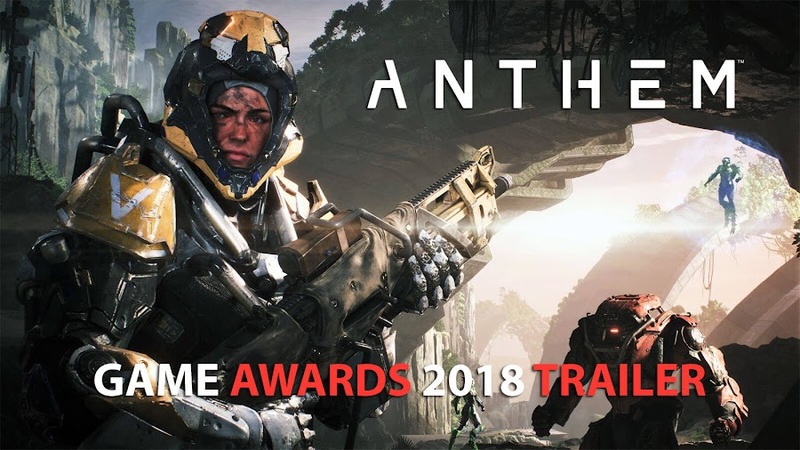 Now, whether or not Anthem turns out to be a successful project for them is just a matter of time to find out. Good news is that the game comes to all consoles and PC, so everyone who is excited about it can at least try it out for once. 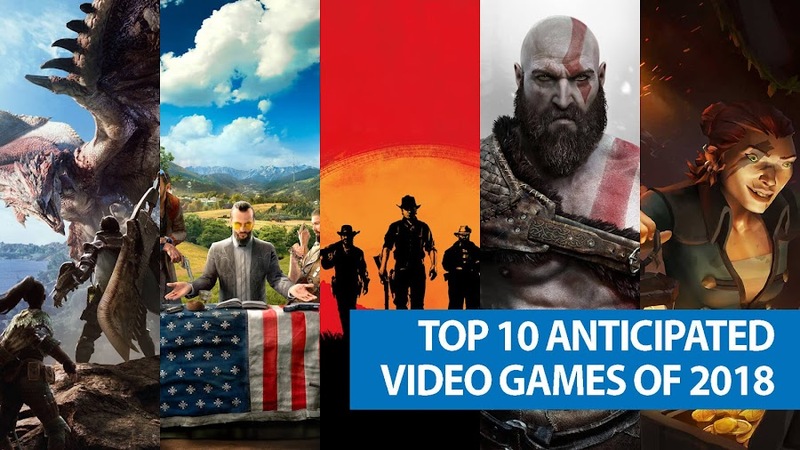 All the game that had the close potential to make it to the list is Detroit: Become Human, Days Gone, Metro: Exodus, The Last of Us Part II, Marvel’s Spider-Man, State of Decay 2 and Shenmue III. Being PlayStation exclusives and also two of the most prominent release of 2018, the exclusion of both The Last of Us Part II and Marvel’s Spider-Man seemed pretty abnormal considering how crazy fans were about the games and how much promising they are. 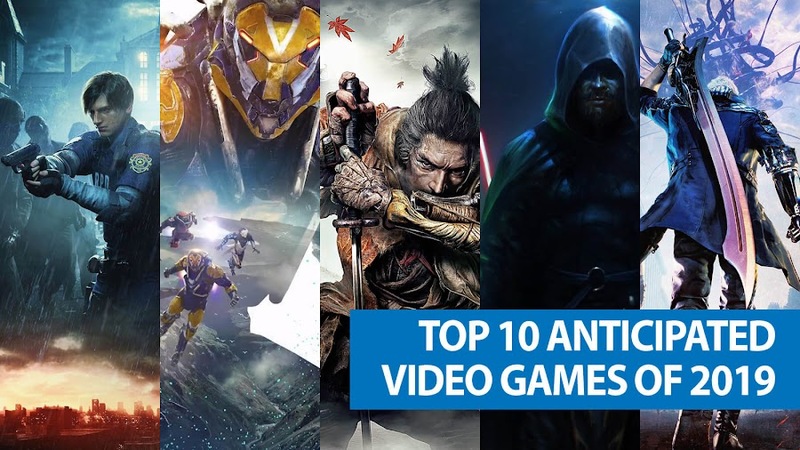 Code Vein, Yoshi, Darksiders III, Metroid Prime 4 and Psychonauts 2 also couldn't get into the top 10 for some unknown reason or perhaps fans were less enthusiastic about them in real than we thought. We were surprised the most when maestro Hideo Kojima's newest project, the upcoming Death Stranding video game did not make itself count either. However, we strongly believe if there were any disbelief or doubts among the fans about the game, they will be surprised to see how wrong they were once the game makes its debut.